I have been with the Tea Party movement since its inception. It is a cause near and dear to my heart. Yesterday, was the 243rd anniversary of the Boston Tea Party. One of my heroes, Sam Adams, led that fight. Most Americans don’t even know the details of one of the most pivotal dates in our history. Pity… we could have used more of that during the Obama years. We came to this land to be free… not to sit and suffer under the yolk of tyranny. We wanted to practice religion freely… have free speech… own land and conduct business as we saw fit. That did not include being taxed to death by a monarch who was also a tyrant. The modern day Tea Party could learn a lot from the Boston Tea Party. But to do that, you have to have dedicated leaders like Samuel Adams and the Sons of Liberty. 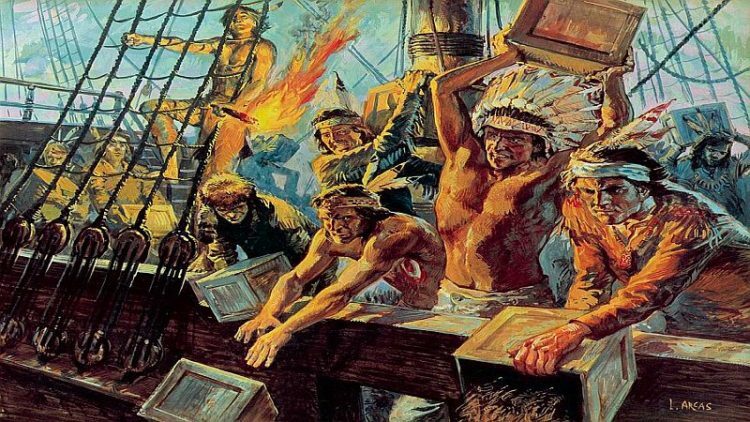 On Dec. 16, 1773, “radicals” from Boston, members of a secret organization of American Patriots called the Sons of Liberty, boarded three East India Company ships and threw 342 chests of tea into Boston Harbor. 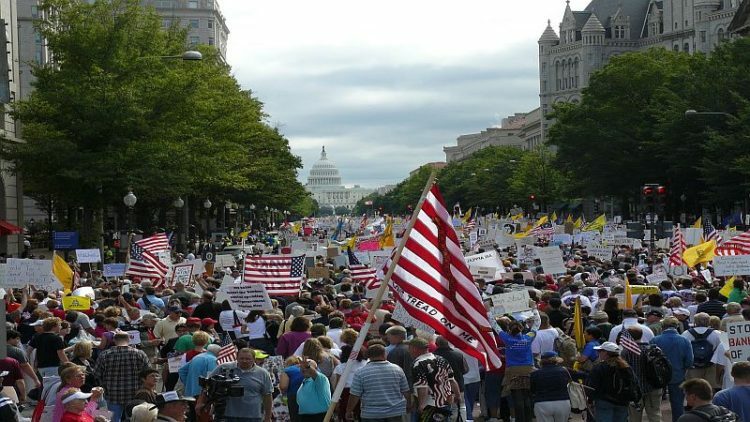 At the heart of the Tea Party movement is taxation without representation. 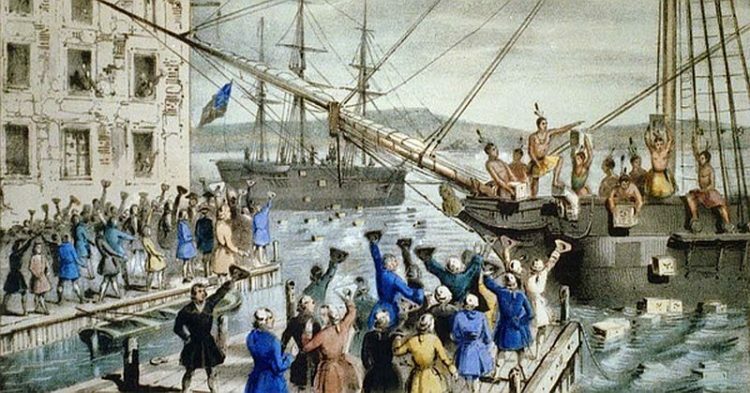 Three years after the Boston Tea Party, the American Revolution began. The breaking point came on the eve of April 18th, 1775, when General Thomas Gage, Royal military governor of Massachusetts, dispatched a force of 700 British Army regulars, under Lieutenant Colonel Francis Smith, with secret orders to capture and destroy arms and supplies stored by the Massachusetts militia in the town of Concord. This was when the first shots of the eight-year struggle for American independence occurred in response to the government’s attempt to disarm the people. The final straw was taking our guns away. Sound familiar? Today, we are again being taxed to death and they are still trying to take away our arms. President-elect Donald Trump has pledged to reduce taxes across the board, not only for individuals but businesses as well. We will see if he keeps that promise… I hope he will. If I had any say in the matter, all taxes would be abolished and handling infrastructure and other issues would be a state and local matter. I would also abolish the IRS. If we had to have a tax, it would be a flat tax and it would be very low. It’s not in the cards for me to get my way on that anytime soon… but Americans now have a chance with an unconventional President to reinstate our freedoms and once again represent the Tea Party and the Sons of Liberty and what they stood for… freedom.